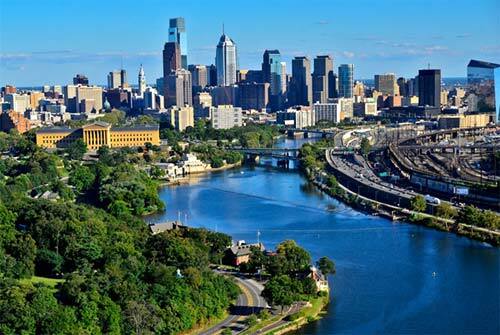 Class Action Attorneys in Philadelphia | Spector, Roseman & Kodroff, P.C. We represent the global community, with U.S. and affiliated offices on six continents from Australia to the United Kingdom. Our dedicated class action attorneys are tenacious when protecting our clients. Spector Roseman & Kodroff, P.C. is one of the leading class action law firms, recovering billions of dollars on behalf of investors, consumers and businesses in areas such as securities fraud, consumer protection and antitrust. Global ReachSRK has an unparalleled global reach - with U.S. and affiliated offices on six continents from Australia to the United Kingdom. Our legal partners throughout the world stand ready to assist clients in protecting their interests. Whether a client resides in the U.S., Europe or elsewhere, its home country may not always provide the most effective remedy. In those situations, SRK and its global team can step in to find the best solution in the most effective forum. — SRK has U.S. and affiliated offices on six continents. Customized Portfolio Monitoring — We offer the Global Monitoring Platform SM for our U.S. clients — a “one-stop shop” for securities class actions and corporate governance matters. Hyper-Focused Attention on Our Clients — We devote the time and resources necessary to maintain long-term relationships and to make ourselves available to you wherever your location. We understand the need for careful evaulation; prompt and transparent communication; and responsiveness towards our clients’ needs and expectations. Dedication to Quality Over Quantity — Our litigation philosophy emphasizes merits, not numbers. Our long-term success has enabled it to be selective about the cases it recommends to our clients. Our emphasis is on conducting detailed research and case evaluation before filing. Creating a Values & Results Driven Workplace — Our strong, trial-tested litigation team has a proven record of achieving notable results for our clients. Our lawyers have substantial experience in class actions and complex litigation, and their past successes have given our firm the financial security to ensure that even the largest cases are litigated properly and in the best interest of our clients. We have the skill, experience and capacity to take a large case to trial. SRK has a U.S. office in Philadelphia and affiliated offices around the world. SRK and its global team of class action attorneys help look after clients’ interests wherever they are impacted — the only plaintiffs’ firm providing its U.S. and international clients with truly worldwide protection. Representing clients in securities class actions and other forums of investor protection matters while establishing a reputation for corporate governance reforms. A market economy works best when every business has the opportunity to compete freely and fairly. SRK has played a prominent role in prosecuting many significant antitrust actions. SRK’s consumer protection/healthcare practice is designed to, among other things, help recoup monies where improper conduct has contributed to skyrocketing healthcare costs. SRK is the only plaintiffs-oriented law firm with a truly global reach. SRK has been working on behalf of clients outside the U.S. for years.